Studies show that frequent and continuous language study leads to a faster language intake. In this respect input refers to the language exposure the student is given, the higher the input the better their language growth progression. A clear example of this is when students move abroad to a country that speaks the language they have been trying to acquire. When moving abroad students will pick up that native language much faster, since students are continuously being given a language input. Most acquisition theories highlight the need for continuous input if you want to progress in your language learning. The forgetting curve in psychology relates to the brains capability and timeframe at retaining learned information. Unfortunately, a high language source input doesn’t always equate to a positive learning growth curve. The culprit behind this has to do with the form of input that is provided. Research by Krashen shows that learners will learn more effectively when presented with engaging inputs, such as interesting and relatable books, videos, and personalized class delivery. If the learner finds the material boring and unapproachable then no matter how much input you provide, growth will be slow or even come to a halt. That’s because forced language input can have adverse learning effects and act as a future mental block. If you look at the above picture you can see a diagram proposed by Krashen, he suggest that the input must be made comprehensible and in the presence of an affective filter. Only when these two are combined (engaging materials and stable input) is a conductive learning platform created to propel language growth. Krashen further dwells on this by creating a ‘study formula’ for second language acquisition. This formula is split into 3 separate learning combinations. “i+0”, “i+1”, and “i+2” content. This relates to the difficulty of the input in regards to the learner’s ability, level 0 is comparable to that of the learner’s current language level. Level 1 is slightly above the learner’s current level, and level 2 is advanced input in consideration of the learner’s level. Taking this into account it’s suggested that learners are given input above their level (i+1). This is because “i+0” would be too easy and therefore too boring and “i+2” too hard, both of these would lead to the student giving up and not being engaged in learning. So no matter what input is given students with “i+0” “i+2” would have a slower learning growth curve. Here is an article detailing comprehensible input strategies & activities from VIPKID blog. 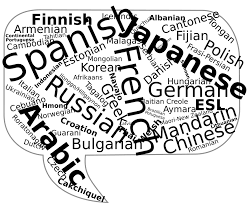 We take language input theories and many other learning theories into consideration here at Lingo Bus when creating our curriculums. Not only do they match high testing and competency standards (ACTFL, YCT, 5C’s) but we also ensure that the content is engaging. Our supplementary preview and review materials including flash cards, workbook, and PPT, etc. also follow the affective filter rule. The classes we design are done taking the “i+1” rule into consideration to ensure your child is kept engaged at the right level to continue their language growth. If you’ve taken some of our classes, you will know that we also provide attractive and personalized content to match each child’s specific learning needs. In this way we provide a ‘comprehensible’ and ‘affective filter’, however the input number is out of our hands. We suggest that parents book a minimum of two classes a week with our teachers for a stable Chinese language input so as to allow the child to progress at a natural pace.